Dachel Media Update: Clinton Garners Attention for Autism Plan But do Families Approve? The end of the post includes an at-a-glance version you can copy and share. Please do! 1. If a doctor cannot obtain informed consent from a patient/parent, then he can not morally, ethically, or legally refuse to sign a Medical Exemption for vaccination. Informed consent is the gold standard of ethical medicine, and must be obtained voluntarily, without any form of coercion, prior to any medical treatment or procedure in a society that considers itself free, ethical, and moral, and which has stringent laws regulating the practice of medicine, including informed consent laws. Furthermore, a doctor makes himself liable for refusing and/or failing to give and obtain prior, voluntary, and informed consent, for any medical treatment or procedure, including vaccination: . Therefore, without informed consent from a patient/parent, and when no other exemption options are left available to him and the patient/parent, a doctor must sign a Medical Exemption upon request. 2. A doctor knows that he has no way to know whether or not a fetus, newborn, infant, or toddler is allergic to vaccine ingredients, beginning with the food ingredients listed. Furthermore, for non-food ingredients, such as antibiotics, metals such as mercury and aluminum, formaldehyde, and polysorbate 80, allergies won’t be known in advance and will only become apparent after the allergic reaction occurs and/or manifests itself, which could be in any number of ways, and at a later date. Every vaccine package insert warns not to give the vaccine to anyone who is allergic to any of the vaccine’s ingredients. Therefore, doctors should sign Medical Exemptions based on the fact that it cannot be known in advance what allergies babies/children/patients of all ages will have, especially to ingredients that are injected versus consumed, many of which are non-food ingredients. Therefore, a doctor should have no qualms signing a Medical Exemption for any patient/parent who requests one. 3. A doctor is not to violate his oath to “First, do no harm.” Any doctor who has read even just one vaccine package insert knows that he may indeed harm, possibly kill, any patient he vaccinates. Therefore, he knows he must honor the decision any patient/parent makes to decline one, some, or all vaccinations, and sign a Medical Exemption should they request one. Furthermore, it can be argued that a doctor should not be comfortable vaccinating any patient after: investigating the lack of proper testing that has been done on both vaccines individually and on the CDC’s recommended schedule, which includes giving multiple vaccines at one time; investigating the chronic illnesses, physical and developmental disabilities, and deaths that result from vaccines; reading the list of toxic, carcinogenic, and inflammatory ingredients contained in vaccines that he would then be injecting into a human being; investigating the fraud, deception, and corruption that occur at all levels of our nation’s vaccine program, from manufacture to mandate. Such research should compel a doctor, and render him extremely willing, to sign Medical Exemptions for his patients. 4. A doctor who has investigated how vaccine trials are done knows that they are not done according to the gold standard of medical research, that of a double-blind, placebo-controlled study. Quite the contrary. They are not double-blind, in other words, unvaccinated controls are not used for proper comparison. Additionally, placebos are not used, rather, another vaccine, and even more often, multiple vaccines, and/or an adjuvant (such as aluminum, known to cause adverse reactions in and of itself) are used. Despite the lack of using proper study methods, vaccines are declared “safe and effective”. Additionally, they have never been tested in the myriad combinations in which they are administered. HERE & HERE. Thus, no doctor should have any confidence in administering any vaccine, and as such, should willingly and gladly sign a Medical Exemption for any patient/parent who requests one. 5. A doctor for whom vaccines violate his or his patient’s religious beliefs should be willing to sign a Medical Exemption. Whether it is the aborted fetal material in vaccines, wrongly forcing one’s will on another resulting in medical assault, violating a parent’s God-given right to direct the care and upbringing of their child, violating a person’s fundamental human right to make medical decisions for himself, or trusting in the efficacy and efficiency of a person’s God-given immune system, a doctor should sign a Medical Exemption for religious objections without qualm. By doing so, he is upholding the First Amendment to the U.S. Constitution, which protects religious freedom. For some doctors, they may be prioritizing following God’s law above man’s laws, as the Bible instructs. 6. A doctor should sign a Medical Exemption for any patient/parent who does not want to negatively impact, and forever forfeit, permanent, lifetime immunity for the diseases against which we vaccinate. This doctor should also sign a Medical Exemption for the patient/parent who does not want to forever forfeit additional benefits that come from contracting certain illnesses during childhood, benefits that play out over the course of a lifetime, including protecting against many types of cancer. 7. A doctor should sign a Medical Exemption upon request because he is responsible for knowing that vaccines are not tested for carcinogenic or mutagenic effects, providing yet another reason why no person/parent should have to accept them against their will. 8. A doctor who is a patriot will sign a Medical Exemption for any patient/parent who requests one because he knows that our U.S. Constitution and First Amendment grant his patients the right to make medical decisions for themselves and their children, and numerous international Codes of Ethics, to which the U.S. is a signor, protect and uphold that right. 9. No doctor should be comfortable helping to implement a law authored by a man, a pediatrician no less, who is so ignorant as to publicly state at UC Berkeley’s Public School of Health that water is the most dangerous ingredient in vaccines. That fact is yet another reason doctors should sign Medical Exemptions for patients/parents without hesitation. 10. Lastly, doctors should sign Medical Exemptions because good health is not achieved by the barbaric practice of injecting poisonous ingredients which cause toxicity, inflammation, and unnatural viral infection, three of the most damaging things for a fetus, newborn, infant, toddler, or young child, whose brains and bodily systems are immature and in rapid states of development. Good health does not come through a needle, pill, or spray. Doctors, in many cases, need to refocus their efforts on safe, health-inducing, and risk-free ways to protect, maintain, and enhance their patients’ health, without the use of risk-laden vaccines. This list not only provides many reasons why a doctor should sign a Medical Exemption for any patient/parent who requests one, but this list should also compel every doctor in the U.S. to sign a Medical Exemption for any patient/parent who requests one, as in some states, this is the only way left for an individual/parent to protect themselves and their children from the known dangers of vaccine mandates. We need doctors in our country to step up to the plate and find the moral courage that is needed to speak up and out in the face of this medical tyranny, in the face of this present evil. We need doctors to do whatever is needed to protect their patients. Doctors need to remember that a simple “No thank you” should always suffice when a patient/parent wants to decline a medical treatment or procedure, including vaccination. If you are a doctor, will you act morally and ethically to protect the rights of your patients by signing Medical Exemptions for those patients/parents who ask, when that is the only means of protection available for them? If not, are you willing and comfortable dismissing all of the aforementioned reasons? Which rights and freedoms are you willing to be responsible for violating? Why should you be allowed to continue practicing medicine when you won’t follow the gold standard of ethical medicine, that of prior, voluntary/non-coerced, and informed consent? A doctor cannot obtain prior, voluntary and non-coerced, informed consent from a patient/parent. A doctor has no way to know if a fetus, newborn, infant, or toddler is allergic to the ingredients in vaccines. This applies to patients of all ages. A doctor is responsible for knowing that vaccine trials have not been performed using double-blind, placebo-controlled trials, nor has the CDC-recommended vaccine schedule been tested as it is recommended to be administered. A doctor is not to violate the religious beliefs of his patients, nor should he be required to violate his own religious beliefs. A doctor is to respect and abide by a patient’s/parent’s desire not to forfeit the benefits of contracting illnesses naturally. A doctor is responsible for knowing that vaccines have not been tested for carcinogenic or mutagenic effects. A doctor is not comfortable violating a patient’s/parent’s Constitutional and First Amendment rights, nor is he comfortable violating international codes of ethics. A doctor is not comfortable implementing a forced medicine law authored by a colleague who holds the false and dangerous belief that water is the most dangerous ingredient in vaccines. A doctor knows that there are risk-free ways to protect, maintain, and enhance his patients’ health, without the use of risk-laden vaccines. I'm told that most places no longer bother with the Hippocratic Oath. I'm not sure if that's true, or of any reasonable way to verify it, but if it IS true, that says something, in and of itself. You are a God-send, truly. I have to send my dear daughter to highschool due to end stages of breast Cancer making homescholing impossible. Finding a means to get a medical exemption is vital since the other exemption options include basically admitting ignorance of vaccines and neglect of child welfare to the local health department. Your eloquence and excellent eveidence based information will make this process very smooth for me. May God give you strength to continue this for all of us who may not have the energy to do the research you have spend so much energy and time on already. Thank you, Laura, and please keep up the good work, because this is getting worse fast. I should also have mentioned to be as creative as you need to be. Additionally, God's laws supersede the laws of men. We are not to purposefully harm or knowingly sacrifice our children. We are to love and protect our children to the best of our abilities. Unfortunately, I am not aware of a pdf for a permanent ME. 1. Write a detailed medical history of your child, his/her siblings, the child's parents, the child's first cousins, and the child's grandparents...including every chronic illness, autoimmune issue, developmental delay, allergy, medical issues, etc., which would make it unwise/unsafe to vaccinate your child. Add in anything else you deem relevant, too, such as why specific vaccine ingredients are unwise/unsafe to inject into your child. Title it something to the effect of "Permanent Medical Exemption for (Name) for any and all vaccinations, now, and in the future". Have your doctor sign, date, and stamp it. Make multiple copies. 2. Have your doctor sign a document titled the same as above, but don't put any reasons. If challenged, cite doctor-patient confidentiality, and possible also relevant sections of HIPAA and FERPA. Because truly, your child's health history, and that of his/her family and relatives, is NOBODY's business, other than the child and his parents, and a doctor if you choose to use one. I hope everything works out for you and your child :) And good for you for protecting your child from vaccine harm! Do you know of a PDF for permanent medical exemption we can use with our MD? Thanks. Is the charmer who signs his name Greg T. Madison here the same person who was practically the only congratulatory commenter in the following article reporting that Drs. Bill and Bob Sears were honored by the city of Dana Point last year? There he is among all the usual seething spitting trolls yet that Greg T. Madison is not only a perfect gentleman, but he states that he is pleased that his children and grandchildren were and are Sears' patients. How interesting. Hey age of flatulence--here's why I won't sign your stupid crap and why I will despise your ill till the end of time. 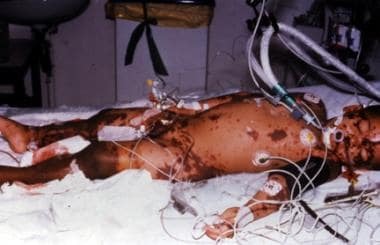 I've seen this in an unvaccinated child who died from Hib meningitis. There is no worse way to die. So screw you and all your stupid lying BS on vaccines. You are dumber than the offspring of a bag of potatoes and a sack of hammers. Other doctors may be too nice not to call you our for the scum you are, but I'm not. Your a xenophobic hive of Luddites who ought to go live like the morons in the movie "The Village" if you so believe the vomit you spew. Thank you for the package insert link. I was curious about the Heb B at birth dosage. It says that a newborn receives .5 ml each dose, and this is the dose through age 19. Then at age 20 years and up, you receive 1 ml each dose. How about a doctor refusing to vaccinate based on arbitrary dosage? A newborn gets 1/2 the dose of a 20 year old? And a 20 year old gets twice the dose of a 19 year old? Whew! Where is the science in that? Are we over dosing a newborn? Under dosing a 20 year old? Does it matter? How can it not matter? 1. "Vaccine Peer Review 1000: The History of the Global Vaccination Program in 1000 Peer Reviewed Reports and Studies, 1915-2015" by Jeff Prager. This is a most amazing compilation, and seemingly endless. What an accomplishment by Jeff Prager. A frightening read awaits you, no matter which vaccine package insert you click on. Commit to reading through any two, and be horrified that these vaccine products are not only approved, but that they are touted as safe and effective...and that they are mandated! "What we have done to each other [with vaccines] has produced the most profound damage to humankind by humankind in the history of humanity." Here too in Australia all the universities indoctrinate students with the gospel according to Brian Deer to quote John. Seven years ago my nephew was doing a double degree in law and politics was indoctinated at his university. Two years ago my neice was doing a double arts degree and she was also lecutured about it. She wanted to raise the issuewith her lecturer since she knew better but was afraid her grades would be affected. Both were at prestigious state universities. Linda1 you are absolutely right. Even in Canada in university Psychology courses there are questions on tests that require you to accept that vaccines are only good. Research courses also use Dr. Wakefield's case series as an example of a poor study. The indoctrination has begun. "16 year-olds in GCSE Biology are or were tested in the gospel according to Brian Deer. Well, I hope that counts toward any religious studies requirement. We already had it in the UK: 16 year-olds in GCSE Biology are or were tested in the gospel according to Brian Deer. It will be Twyla. In science, biology, health. If it wasn't before, it will be. You might even get a visit from Dr. Pan for a special assembly. My kids were not indoctrinated on vaccines at school. I don't know about other schools, but it was not an education topic at their schools. I just want to point out for those fighting to get their children into public education that that education comes with a whopping dose of indoctrination. Those children will be taught that parents that question vaccines are bad parents, that people who do not take all the recommended vaccines on schedule are bad citizens, that by their selfishness, stupidity and lack of conscious and social responsibility will hurt, sicken and kill babies and old people and all those in between, that people who do not vaccinate and are found to be responsible for harming others because of not vaccinating are criminals and will spend their lives in jail, that people who do not vaccinate when they are supposed to will die a horrible painful death. Is this what you want your children to learn? Are these people who helped to push through SB277 the people that you want to pay to teach your children using government/Pharma developed curriculum? Do you really want to send them your children to indoctrinate every day for 12 years beginning when your children are barely out of diapers? Do you really want to reward the SB277 supporters with job security? Thank you Laura. We need information like this to help us fight the "no jab no pay policy" now in force in Australia. It gives you details on how to word a statutory declaration you give to your doctor to sign (or not) as there is a form letter for a statutory declaration for this situation too. It was designed to be used so that parents can get an exemption from having to get their child vaccinated yet continue to be receive family tax benefits and childcare that they previously received prior to the government's changed policy. It could possibly be used to gain access to schools or get a medical exemption in USA as Laura suggests in relation to informed consent. The Stat.Dec. relies on similar reasoning that Laura suggested involving informed consent and a doctors duty of care. The mother who has already used the statutory declaration in Australia sent the media into a propaganda frenzy and they reportedthat the Health Minister said this loophole will not work to gain her tax payments. I don't know what legal basis he can claim that. Example of Stat. Dec from Australian Vaccination Skeptics website. I acknowledge that the consent provided by …… ……………………………….. name of parent/s is not voluntary consent. Given the absence of voluntary consent, I am/am not willing to proceed with the vaccination of …………………………………………..
along with definitions informed consent. It's interesting that the CDC Vaccine Management Module for Providers is titled "You Call the Shots". I look forward to the day when doctors, nurses and pharmacists bravely stand up to the thugs and say NO. Laura, your fearless leadership is exactly what this country needs. Thank you. I had another thought: Wouldn't it be a game-changer if there were thousands of malpractice lawsuits here in California (and Mississippi and West Virginia)) against pediatricians who, given Laura's list, still refuse to sign a medical exemption? Attorneys, step up to the plate and swing for the fences. Laura: Thank you for this excellent list. The PDF will be a handy form for parents to give the pediatrician. Hope everyone has commented on the expansion of the Vaccine Injury Table (comments close on the 25th). Another brilliant spot-on piece! To quote Zed – “thank you, Laura Hayes (wish I’d said it)”. That is my thought EVERY time I read something you’ve written. My brain is always on the same page but has a harder time translating into the written word (which is your gift). Your passion for medical freedom and disgust with our current political state of affairs always shines through. You have stated before that we need to stop begging and start DEMANDING. Amen. Isn't it ridiculous, that parents should require a doctors 'permission' , to decline a needless medical treatment for their child? In fact, the whole idea of a medical exemption form is ridiculous. Especially for vaccines, since no-one can prove that any vaccines has prevented a disease of any kind. I may have been asleep 10 years ago, and it cost me dearly, but I'm wide awake now. And as I've said here before, the next person to inject a vaccine into one my children, will be stepping over my dead corpse to do it. And really, what are they going to do to me , keep my autistic child out of school??? And I should worry about that…. because finishing school ( ….with accommodations) is going make him so much more marketable to the work force? Laura, THANK YOU for this approach when requesting a Medical Exemption. "Assault: At Common Law, an intentional act by one person that creates an apprehension in another of an imminent harmful or offensive contact. An assault is carried out by a threat of bodily harm coupled with an apparent, present ability to cause the harm. It is both a crime and a tort and, therefore, may result in either criminal or civil liability. Generally, the common law definition is the same in criminal and Tort Law." Laura, you are a great leader in literally standing up to the tyranny of the Vaccination Cabal consisting of our Federal and National Govt. Agencies in cahoots with the Pharma Industry. The iconic phrase of the September 11, 2001 airplane passengers going to their heroic deaths in Shanksville, PA, and stopping the murderous hijackers applies. "OK, Let's Roll." You've really hit it out of the park this time Laura! Thank you for this incredibly valuable list. This should be required-reading for all Doctors and doctors-to-be! This is the best thing I've seen in a VERY LONG TIME. "I am a physician licensed by the State of California. I have examined xxxxx and do not consider immunization to be safe for this child. I hereby grant him/her a permanent exemption for the DTaP, DTP, DT, Inactivated Polio Vaccine (IPV), Hepatitis B, Measles/Mumps/Rubella (MMR), and Varicella vaccines. The medical circumstances which warrant this exemption are as follows. (1) DTap, DTP, DT, and Hep B all contain aluminum adjuvant, which is highly toxic and triggers immune activation, and residual foreign proteins, which can cause auto-immune disease and severe food allergies. These vaccinations can cause severe gastrointestinal and neurological illness, auto-immune disease, asthma, and severe food allergies. See references below, and also see the full list of conditions known to be associated with these vaccines per their data sheet. (2) IPV, MMR, and Varicella vaccines contain residual foreign DNA, RNA and other proteins, which can trigger auto-immune disease and severe food allergies, and retrovirus contamination, which has not been adequately studied. These vaccines also trigger immune activation, which can cause severe gastrointestinal and neurological illness. See references below, and also see the full list of conditions known to be associated with these vaccines per their data sheet. [List relevant studies here, plus copies of the full data sheets for each vaccine…]"
Very well written and so true! Thank you Laura!! Laura Hayes , we are all very grateful for your tireless efforts in the face of vaccine tyranny . If enough of us are putting ourselves on the line (like Brett Wilcox is clearly doing & you also) , then we really have a proper movement and a real chance of justice . Trump for President all the way . His colours are pinned to the vaccine mast . Thank you, Kim and Dan, for providing a printable download of my bullet-point version...much appreciated! "Written by Laura Hayes, whose 2016 mission is to fight for banning vaccine mandates, restoring individual and parental rights with regard to medical decision making, and repealing the 1986 NCVIA. We need to stop begging and pleading for exemption rights and DEMAND our fundamental human right to decide that which does, or does not, enter our bodies or those of our children." Let the begging and pleading END, and the DEMANDING begin. Time to take back our republic and our rights! As usual Laura .. your comments reflect a rare understanding of what historically was once termed simple "common sense" .. and .. after reading them I realize that "common sense" as it applies to vaccine .. has indeed become .. "uncommon". In any event .. as your comments clearly state .. it is up to DOCTORS to uphold their sworn oath to "first do no harm" .. which .. as you so brilliantly observe .. they are routinely violating every time they fail to provide a "medical exemption" for ANY of the "common sense" reasons you have provided them. "History has shown us that doctors and medicine can be wrong, very wrong, and it has also shown us just how horrific and inhumane humans can be to other humans when allowed to engage in forced medicine." History has also shown doctors .. which includes the entire medical profession .. that tries to defend themselves against violating their sworn oath by claiming they were only "following government policies" .. can expect to suffer serious consequences when the day of retribution finally arrives.